Paul Marlowe found the job description for ‘writer’ attractive, since it didn’t include the terms ‘team player’, ‘consensus’, or ‘fast-paced’ anywhere. He has discovered, however, that there’s a lot of unpaid overtime to put in. Marlowe lives in New Brunswick. Learn more at Paul Marlowe’s website. CLICK HERE FOR MORE BY PAUL MARLOWE. I was first drawn to Knights of the Sea by the hilarious cover art. Now, having read the book, I can say two things: First, the art is accurate! 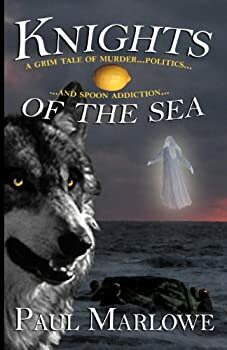 Every element of the cover design — wolf, capsized boat, ghostly damsel, and lemon — is present in the plot. Second, the book is just as funny as the cover, and in a very good way. The motto of Etheric Explorers Club, translated from the Greek, is “to seek, to discover, to return home.” These explorers dedicate themselves to investigating the ways in which the spirit world touches the physical world. Unfortunately for the explorers, most of these meetings between the spiritual and the physical are dangerous. 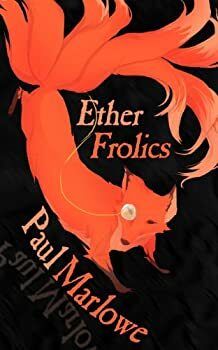 Paul Marlowe’s Ether Frolics is a collection of short stories that provide accounts of the explorations of the ether since the end of the Victorian era.